erhaps the most unexpected and striking article as Christians we profess in the Apostles’ Creed is our belief that Jesus descended into Hell. 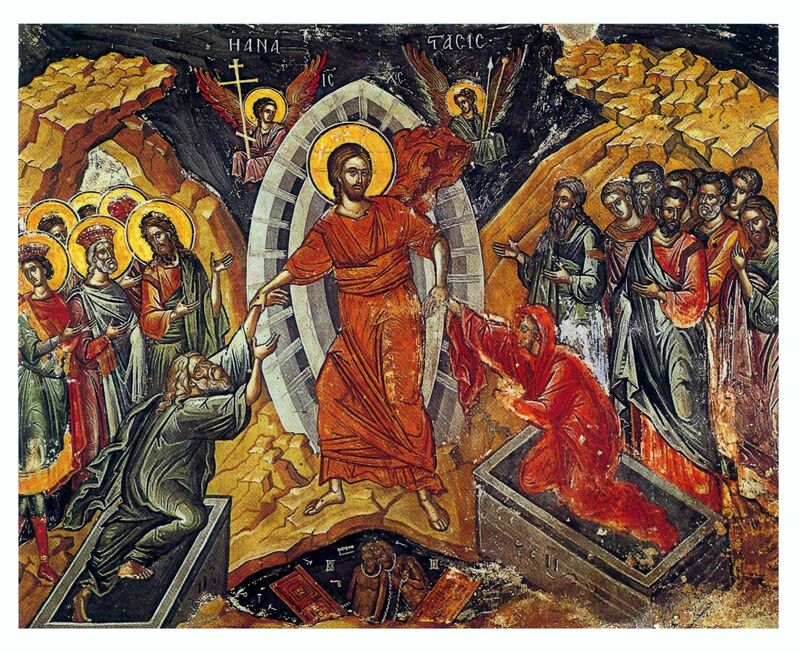 This is not said to undermine the wonder and otherness of Jesus’ Resurrection, but professing Jesus descent into Hell is difficult to imagine and understand initially. This paper sets out to explore how this article was included in the Church’s Apostles’ Creed, where we may find it referenced in the written Word of God, and how the Church has understood this profession of our faith over the centuries. In addition, since our Creeds are more than statements of belief, this paper will briefly explore what this article of faith means for our life in Jesus Christ. It is the hope of this work to not only inform the Christian mind about the salvific work of Jesus Christ in His activity between His Death and Resurrection but also, and more importantly, to open our hearts to the mystery of this event and its relevance for our hearts and wills as members of His Body who are working out their salvation by our growing participation in Jesus’ Paschal Mystery. What we as Christians believe, that is, what gives our lives form and meaning, is found in summary in the creeds of the Church. Our creeds are a summarizing of the Christian mysteries of Salvation History and a profession of our faith which is passed onto each generation in human history so they can know for certain the basic Christian confession of faith and thus can be united as one in Jesus Christ (Jn 17:20-21). Among the many creeds held by the Church, the Catechism of the Catholic Church explains that the Apostles’ Creed is one of two that hold a primacy of place in the Church’s life because it is a “faithful summary of the Apostle’s faith” (CCC194) and in the words of Saint Ambrose it is “the Creed of the Roman Church, the See of Peter, the first of the apostles, to which he brought the common faith” (CCC 194). In his book The Creed as Symbol, Nicholas Ayo explains that the creed is to “be engraved upon the Christian’s heart as well as held up before the mind” (Ayo 1), and therefore the truths we profess in the creed are to direct our way of living which becomes our response to the God who has revealed to us His very heart. As to the inclusion of the article: “He descended into Hell” in the Apostles Creed, Martin Connell in his article Descensus Christi ad Infernos: Christ’s descent to the Dead, believes the early Church historian and theologian Rufinus’ Commentary on the Apostles’ Creed to be “the earliest source for a creed that includes the confession of the descent between the burial and rising” (Connell 266). It is believed that Rufinus put forward the fictional tradition that the Apostles’ creed arose from each of the twelve apostles putting forward an article of belief that together would summarize the Christian faith. According to Priminius, Philip was the apostle who contributed that Jesus “descended into Hell.” Ayo notes that this article was not present in the Old Roman Creed, of which the Apostles’ Creed is a descendant. Berard Marthaler in his book, The Creed explains that the article was “introduced into the creed relatively late, during the height of the Arian controversy. It first appeared in the Fourth Formula of Sirmium in 359 (also known as the Dated Creed of 359), then gradually found a place in some Spanish Creeds of the sixth century and later was introduced into Gallican creeds of the seventh and eighth centuries” (Marthaler 170). Connell and the annotations of J. N. D. Kelly on Rufinus’ A Commentary on the Apostles’ Creed also agree with the findings of Marthaler. As to why this article was added to the Apostles Creed, Kelly explains that “the motives for its introduction… are obscure, although one conclusion that seems certain is that the old suggestion that its intention was anti-Apollinarian [Apollinarius held that Jesus had no rational human soul] has no solid basis. It is perhaps significant that the fourth-century theologians tended to see in the descent the occasion of the vanquishing of death and the release by Christ of the saints held in its power (Kelly 121). Connell states the article of Jesus’ descent in the Apostles’ Creed may have been a means to emphasize Christ’s presence at the time of death and His power over death itself. In closing for this brief section on the Apostles’ Creed and this articles inclusion in it, one would be remiss to not stress the unity of the whole creed. Just as when we read and study Sacred Scripture, we always read each verse in context with the passage, book, both testaments, and our Tradition, so it is important to pray and study the creed as articles of the whole. It could be possible to so engage an article of the Creed that one might lose sight of its place in the larger confession of faith and confuse its meaning. Thus, every article of the creed must be studied in unity and harmony with the whole. The major movement of this paper will seek to understand how the Church has understood the meaning of Jesus’ descent in the Apostles’ Creed across her history. First, we will turn to the Scriptures, then to the Early Church and Scholastics, before we arrive at the more present-day understanding. As for Jesus descent into Hell, Nicholas Ayo finds this article of the Apostles’ Creed is not clearly substantiated in the New Testament, but Marthaler finds the early writings of Clement of Alexandria and Origen link Jesus’ descent to 1 Peter 3:18-20 – a passage on a Christian’s attitude to suffering because of Jesus Passion and glorification. Connell agrees with Marthaler because although there are implicit references in the New Testament and the Psalms, his research has found this passage in the First Letter of Saint Peter to be the only explicit reference for Jesus’ descent after His Death. The great majority of creedal analysis texts will also quickly identify a connection between Jesus’ descent in the creed and this Scriptural passage, but from there commentaries take different positions as to the passages interpretation and meaning down through the ages. This paper does not intend to treat and analyze the array of interpretations of this passage, but only to present to the reader an awareness of interpretation difficulties in this passage as they relate to the article of Jesus’ descent. In the passage of 1 Peter 3:18-20 there are several difficult sections. The first section: 1 Peter 3:18 concerns the interpretation of “for Christ also suffered for sins once… Put to death in the flesh, he was brought to life in the spirit” (1 Peter 3:18). The debate on this section concerns how one is to understand the meaning of Jesus’ death in the flesh and life in the spirit. The second and more important interpretation matter with this passage involves Jesus going to “preach to the spirits in prison” (1 Peter 3:19) who were disobedient “in the days of Noah” (1 Peter 3:20). Differences of scholarly opinions here concern whether the spirits in prison were human persons or angelic persons. If the spirits in prison were human persons, some reason they could have been the souls of the men who died at the time of the great flood but who before death repented. The human persons referenced as contemporaries of Noah also could stand to represent symbolically that the redemption brought about by Jesus can embrace all those who have died before Jesus Christ and were habitual sinners (like the people living at the time of the flood) but who at the moment of death repented privately. Still others reason that these souls are angelic persons – the rebel angels called “the Watchers” (1 Enoch 6-21 and Jubilees 5, 1-11) who have induced men into evil acts and because they weren’t killed in the flood (angelic persons are pure spirits), were thrown into prison to await final doom through Jesus victory over all evil. Another early scholarly view holds that 1 Peter 3:19 has nothing to do with Jesus’ descent and concern Christ’s victory over sin accomplished through baptism. Scott Hahn and Cutis Mitch in their commentary on the New Testament explain that with the great diversity of analysis on this passage concerning suffering for doing right, a sure interpretation does not seem possible. However, in their final analysis of this passage across history and with the work of modern scholarship, they put forward a view that they believe reasonable and respectful of commentary traditions and which better accounts for the context of this pericope. “Readers faced with the hardship of persecution would be led to see that Jesus was victorious over evil, not in spite of His death, but precisely in His death. For at that moment, lowered into the darkness of Hades, Jesus Christ descended as the victorious Savoir of the world (Mitch 456). Before beginning to examine the Early Church’s understanding of Jesus’ descent in overview, it is important to note that in the first three hundred years, Jesus’ descent was spoken of as “descensus ad inferos, literally, the “descent to lower places,” or the lower world” (Connell 264). Now with the advances of cosmology, translations have rendered descensus ad inferos as Jesus’ descent to the dead. Later in Early Church history, there will come a word shift from inferos to inferna which will be of consequence to this study. In turning now to the Early Church’s understanding of the descent, Marthaler, Connell, and Catherine Laufer’s research in her book Hell’s Destruction attests that Jesus’ descent was common in the writing of the Fathers in the first few centuries before the verse found its way into the Apostles’ Creed. In Laufer’s overall analysis of Early Church commentaries on Jesus’ descent, she explains that it is not exactly known how the initial understandings of Jesus’ descent were first discerned, expressed, and by whom; but writings begin to be present in the time of Saint Ignatius of Antioch with his Epistle to the Magnesians by the close of the first century. Some of the common writers on the descent are: Saint Ignatius of Antioch, Saint Irenaeus of Lyons, Saint Polycarp, Saint Clement of Alexandria, Saint Cyril of Jerusalem, Saint Augustine, Origen, and Tertullian. As was stated previously, at this time the phrase used in early writings concerned Jesus’ descent to the lower places or the dead (inferos). Thus, Marthaler explains that the early writers, such as Ignatius, Polycarp, Irenaeus and Tertullian, understood the core of Jesus’ descent to be the logical result of death and burial – Jesus passed into Hades/Sheol. For the Jewish Christians of the Early Church, Jesus’ descent was not only a testimony to His bodily death and burial, but it manifested His total self-emptying in coming to know what it means for a sinful man to die under the law. This understanding thus moved Tertullian to write in De anima on how Jesus satisfied the law: “Christ our God… satisfied this law also by undergoing the form of human death in the underworld, and did not ascend aloft to heaven until He had gone down to the regions beneath the earth” (Marthaler 171). As time passed and more theological reflection was given to Jesus’ descent, the Early Church writers began to unpack this event with a bit wider interpretation. Catherine Laufer, explains that “for the most part, the Fathers’ view of the descent was that which is commonly called the ‘harrowing of Hell’. At its simplest, the harrowing of Hell is the concept that, at his resurrection and ascension into heaven, Christ carried with him the saints of the old covenant who had been in Hades (Sheol). Often included is the additional notion that, while in Hades, Christ announced His earthly coming to the patriarchs and prophets, assuring them that the events they had looked forward to had now been fulfilled” (Laufer 21). Connell and Marthaler would agree with this general summary of Early Church thought; Connell even points out in the writing of Clement of Alexandria in the sixth chapter of Stromata where he writes “the Gospel was preached to Jews and the Gentiles in Hades”. Clement believed that just as God had given His People the Scriptures so He had given “philosophy to the Greeks, to fit their ears for the Gospel… For to those who were righteous according to the law, faith was wanting. Wherefore also the Lord, in healing them, said, Your faith has saved you. But to those that were righteous according to philosophy, not only faith in the Lord, but also the abandonment of idolatry, were necessary. Straightway, on the revelation of the truth, they also repented of their previous conduct”. Jesus “who descended into Hell alone, but ascended thence with a great company; for He went down to death, and many bodies of the saints which slept arose through Him. Death was struck with dismay on beholding a new visitant descend into Hades, not bound by the chains of that place. Why, O porters of Hades, were you scared at sight of Him? What was the unwonted fear that possessed you? Death fled, and his flight betrayed his cowardice. The holy prophets ran unto Him, and Moses the Lawgiver, and Abraham, and Isaac, and Jacob; David also, and Samuel, and Esaias, and John the Baptist… All the Just were ransomed, whom death had swallowed; for it behooved the King whom they had proclaimed, to become the redeemer of His noble heralds. Then each of the Just said, ‘O death, where is your victory? O grave, where is your sting?’ For the Conqueror has redeemed us”. In a similar vein of Cyril of Jerusalem’s teaching, Martin Connell’s study of the Father’s brings out the unique characters of Adam and Eve and the place they have in the writings of the first three centuries. Our first parents who acted in a way of disobedience to God, now serve in a symbolic way of being grasped by Christ in His descent so that they and all the just who lived before the Paschal Mystery can hear the full proclamation of the Gospel and be rescued. On a related note, Marthaler and Connell both reference in different ways, the popular Byzantine icon of Jesus’ harrowing of Hades as a more visual representation of this Early Church understanding of Jesus’ descent and activity in the realm of the dead, although this subject became much more a favorite in sacred art during the medieval period. Common Early Church and medieval images depict Jesus grasping the hands of Adam and Eve out of a cave or from the grave (see Appendix I for examples). Connell explains these images are a depiction of Jesus’ “salvific sweep throughout all of human history before and after the Incarnation… Adam and Eve, rescued from Hell by the hands of Christ, bring with them all who had lived before the Incarnation” (Connell 265). This brief theological description doesn’t address in detail if Jesus brings only the just from the abode of the dead or if all men could be saved. It is prudent to briefly mention at this time a belief of Origen called apocastastasis – the restoration of all things. Laufer explains that Origen rooted this teaching of universal salvation of all mankind not in Jesus activity in the descent but in the power of Jesus’ death on the Cross as Saint Paul explains in 1 Corinthians 15:20-28. Laufer explains that although Origen didn’t base this teaching of his upon Jesus activity in the descent, his universalist teachings were often challenged in the theological context and treatment of Jesus’ descent. In fairness, it should also be stated that some scholars challenge the accuracy of translations of Origen that are accessible to us and believe the more accurate position of Origen is that when Origen accounted for free will, he held out hope that all mankind would at the end of time freely submit to the reign of Christ’s kingdom so all would be subjected to Christ. Connell is the only scholar who directly addresses the vocabulary change of inferos (lower world) to inferna (Hell) in the writings of the Early Church. His research concludes that Rufinus, in his commentary on the Apostles’ Creed, was one of the first to reference this article of the Creed as Jesus’ descent to Hell (inferna). Connell believes a fair rendering of inferna in English would be “infernal… an adjective meaning hellish” (Connell 264). Connell goes onto explain that “the word shift was a key contribution to subsequent changes in the meaning and theology of the descent…The move to Rufinu’s word inferna, “Hell,” would start to change the result of the descent from one of God’s presence with the dead to a belief in Christ’s reconciliation of sinners” (Connell 267). Nicholas Ayo does mention the different Latin translations in a general way and his analysis agrees with Connell – “the English word “infernal,” [translation of infera] however carried a connotation of punishment, which the word “inferior” [inferos] does not…” (Ayo 72). It would be odd to cover the Early Church’s understanding of almost any topic and not hear from Saint Augustine. Laufer and Marthaler’s research yields that Augustine is somewhat reserved in his treatment of Jesus’ descent as he may have only known of it through tradition and not by study of the Creed of which he was familiar in Africa. Despite him not being as versed on Jesus’ descent, Ludwig Ott references Augustine somewhere writing “who other than an unbeliever can deny that Christ was in the underworld” (Ott 192). Laufer and Marthaler also recognize that Augustine believed the descent to speak of Jesus’ harrowing of Hell. Marthaler recalls from Augustine a helpful parallel to understand Jesus’ descent to Hell: “Jesus loosed those detained there from the pains of hell without himself being chained by them, much as a hunter releases the prey from the trap that holds it” (Marthaler 172). Connell and Laufer find of interest a letter exchange between Bishop Evodius and Bishop Augustine in which Evodius inquires with Augustine about the “spirits” of 1 Peter 3:18-22 whom Christ set free and if Hell could be found empty on the day of judgement because of God’s total and universal mercy. In this inquiry, we see the manifestation of Jesus’ descent into Hell (inferna). It seems from Augustine’s reply that he believed some were rescued by Jesus’ descent, but it was not a complete harrowing: “Let us therefore… refuse to entertain the thought that the gospel was once preached, or is even to this hour bring preached in Hell in order to make men believe and be delivered from its pains, as if a Church had been established there as well as on earth” (Lauer 34). Thus, Marthaler’s analysis seems valid that Augustine understood Jesus to have descended to Hell to free the just from “a middle state [free of punishment] between the Hell of the damned and the paradise of the blessed” (Marthaler 172). In concluding this general summary of the common understandings of the Early Church on Jesus’ descent into Hell, the following important points have surfaced: Jesus experienced death in the same way as human persons as He descended to the abode of the dead; once there, Jesus took with Him the blessed just who had preceded Him in death; and Jesus announced Himself as Savior to those in the underworld. These early teachings we see conserved in the Catechism of the Catholic Church (CCC 632-634). When it comes to the next major development of the Church’s reflection on Jesus’ descent as mentioned in the Apostles’ Creed, both Connell and Marthaler quickly point to the theological work Saint Thomas Aquinas in his Summa theologiae. Both these scholar’s reviews of medieval theology, which are built upon understandings of the Fathers, are summarized well by Laufer: “the descent was seen exclusively as the harrowing of Hell and was an integral part of Christ’s salvific work. The discourse focused on who was released from Hades and how Christ actually descended and released them” (Laufer 44). Also during this time in history, Jesus’ descent was not a central topic in the work of theology, it was more an imaginative area of speculation. Martin Connell and Catherine Laufer find that although Thomas’ theological heavy-lifting brought many developments across much of theology, his analysis of Jesus’ descent brings little to our analysis of this article of the creed except a good summary of the Church’s understanding of Jesus’ descent and “reasoned responses which have stood the rest of time” (Laufer 49). On a related but wider note, Connell does bring forward one weakness of Thomas’ treatise on Jesus’ descent and that is the lack of Scriptural testimony (this however cannot be helped as no Gospel tradition accounts for what happens with Jesus’ body while it rests in the tomb). This “deficiency” would make it more difficult in the time of the Reformation for some separated brethren to retain some traditional catholic beliefs because of their limited acceptance of Revelation being only in the canonical Scriptures. Lastly, in recalling the word usage of inferos and inferas for this creedal article, Connell finds that Thomas used both, intentionally, because “the words bore theological, anthropological, and indeed moral consequences in the Summa” (Connell 272). In his Summa, Saint Thomas considers Jesus’ descent across eight articles, which Laufer comments all harmonize on how it was through Jesus Christ’s Passion that He was victorious, and how His activity in Hell was the result of that victory by the way of His Passion. Thomas wrote: “Christ’s Passion was a kind of universal cause of men’s salvation, both of the living and of the dead… the power of the Passion is applied to the living through the sacraments which make us like unto Christ’s Passion, so likewise it is applied to the dead through His descent into Hell” (ST, III, q.52, art. 1). In the second article, Thomas clarifies that Jesus descended only to the Hell of the just and to purgatory – not the Hell of the lost or damned. The third article concerns the various “presences” of the Person of Jesus Christ during the time of His death. Thomas asserts that “the whole Christ was in the tomb, because the whole Person was there through the body united with Him, and likewise He was entirely in Hell, because the whole Person of Christ was there by reason of the soul united with Him, and the whole Christ was then everywhere by reason of the Divine Nature” (ST, III, q.52, art. 3). The next article concerns the duration of His time in Hell to which Thomas reasons that as His body rested in the tomb for two nights and a day so His soul was in Hell until the time of the Resurrection. In the fifth article Thomas addresses the freeing of the Patriarchs from Hell: although the holy fathers were just, they still bore Original Sin which was given them by human generation, and thus they could not enjoy the Beatific Vision until Original Sin had been remedied through Jesus’ self-offering to the Father for their justification. Thomas’ sixth through eighth articles concern the effect of Jesus’ descent for the lost; infants or children who died in Original Sin; and for the souls in purgatory. Thomas explains that although Jesus’ descent did impact the damned by way of “shame and confusion” (ST, III, q. 52, art. 6), it did not deliver them because they were infidels or lived lives not in conformity to charity. Regarding the descent and children who died in Original Sin, Thomas envisions only two ways of deliverance here: faith or baptism. Lastly, Thomas explains that Jesus’ descent does not free the souls in purgatory (except those who were sufficiently purified or whose lives of faith merited the remission of temporal punishment) because “Christ’s Passion had no greater efficacy then than it has now” (ST, III, q. 52, art. 8). To close the discussion on Thomas Aquinas’ contribution on Jesus’ descent into Hell, Laufer recognizes another important string connecting Thomas’ inquiry – his “cross-centered soteriology. It was Christ’s passion and death that freed human beings from sin. The descent is simply the means by which those faithful souls who had died before the passion were made partakers of its fruits” (Laufer 52). The work of Saint Bonaventure on Jesus’ descent in his series The Tree of Life deserves some attention because although it is more devotional in style, it is still informed by great theology. In this series, Bonaventure speaks of Jesus’ descent as the first fruit of His glorification: “the power of the divinity began to shine forth in his soul as it descended into Hell. By this power… [he] tore the prey away from him [ie the devil], broke down the gates of Hell and bound the serpent” (Laufer 54). And in another place, “As soon as he died, he went in soul down to Hell where the holy patriarchs were, and then they were in joy and bliss by virtue of his blessed presence… all the holy patriarchs… stood before him, [singing] songs of love and prophecy and psalms… until the time that he would take his body again and rise up gloriously from death to life: as [they] follow in a procession after him” (Laufer 55). In these two excerpts, we see a complementary between Thomas and Bonaventure – wherein Thomas works from reason to make an intellectual confession of Jesus’ activity in Hell, Bonaventure works from the orientation of love regarding Jesus’ descent. As Laufer explains in her analysis, Bonaventure captures the traditions confession of the harrowing of Hell, but in a more imaginative way, and yet shows in a more intimate way than Thomas, that Jesus’ activity in the descent stems from His love of His friends, whom by His Passion He serves. Before leaving the medieval period, our general survey of Jesus’ descent would be lacking if we didn’t consult the Council of Trent. A summary of the Council’s treatment of Jesus’ descent, found in The Catechism of the Council of Trent includes: Jesus in His Divine Person, through His soul, descended into Hell – the abode of the dead (not of the damned); He descended there as Savior to liberate the just who had died across history from the time of our first parents, and welcome them into the vision of God, and “to proclaim his power and authority; and that “every knee of things in heaven, and on earth, and under the earth, should bend at his “name””” (Pius V 65). These teachings we see conserved in the Catechism of the Catholic Church (CCC 632-635). In the modern period, we turn to the work of Joseph Cardinal Ratzinger, His Holiness Pope Benedict XVI, and Pope Saint John Paul II for an overview summary of Jesus’ descent. In her book Christ’s Descent into Hell, Lyra Pitstick recognizes that between these two great men and their contemporary, Hans Urs von Balthasar, there are some radical differences in how each understand Jesus descent. Ratzinger, Benedict XVI, and Saint John Paul II’s views although different in some ways are complementary views; whereas both seem to disagree with many conclusions von Balthasar draws of Jesus descent – which will not be treated in this paper. This paper also does not intend to even begin to enter into this difficult theological comparison which even goes beyond the realm of theology to also involve the weight of various types of magisterial teaching authority of the sources of their theologies. The section of this paper only endeavors to highlight a few more interesting contributions of Ratzinger/Benedict XVI and Saint John Paull Ii in their theological reflection on Jesus’ descent. Before his election to the chair of Peter, Joseph Cardinal Ratzinger speaks of Jesus’ descent in a good number of his books and several Holy Week meditations. However, in Pitstick’s analysis, Ratzinger never squarely states how he understands Jesus descent; he tends to speak more of what Jesus’ descent means for Christians. In his book Introduction to Christianity, Ratzinger understands Jesus’ descent to begin from the Cross before death as He begins to pray Psalm 22: “My God, My God, why have You abandoned Me?” (Ps 22:2). Despite the temptation for Jesus to give up on His Father because He appears absent, Jesus cries out to His Father through this Psalm in hope and trust. Also, Pitstick explains that for Ratzinger, Jesus’ descent involves His sharing of our human experience of death with all its loneness, uncertainly, and fear – a psychological hell. Ratzinger explains that by this article of the creed, we profess that “Christ strode through the gate of our final loneliness, that in His Passion He went down into the abyss of our abandonment… death, which was previously hell, is hell no longer… because there is life in the midst of death, because love dwells in it” (Ratzinger 230). Also in reference to the great unknown of death, Ratzinger writes in Lamb Redeemed the Sheep that “Jesus Christ really “descended into Hell.” Jesus actually complied with the suggestion of the rich man: Let someone come back from the dead, and we will believe (Lk 16:27ff)! He, the true Lazarus, did come back so that we may believe… He did not come back with disclosures nor with exciting prospects of the “world beyond.” But He did tell us that He is “going to prepare a place” for us (Jn 14:2-3)” (Pitstick 21). Finally, in The Spirit of the Liturgy, Pitstick identifies how Ratzinger links the events of Jesus’ descent after His Passion and Death to His Resurrection, which in turn allows for new life to be given to those who freely choose to graft themselves onto Him. Ratzinger himself explains with this insightful Scriptural analogy: “For Christians, the Resurrection of Christ is the true Exodus. He has stridden through the Red Sea of death itself, descended into the world of shadows, and smashed open the prison door. In Baptism this Exodus is made ever present. To be baptized is to be made a partaker… of Christ’s descent into Hell and of His rising up therefrom, in which He takes us up into the fellowship of new life” (Ratzinger 137-138). “this descent of Jesus’ soul should not be imagined as a geographical or a spatial trip… We have to remember that Jesus’ soul always touches the Father… but, at the same time, this human soul extends to the very borders of the human being. In this sense it goes into the depths, into the lost places, to where all who do not arrive at their life’s goal go, thus transcending the continents of the past. This word about the Lord’s descent in Hell mainly means that Jesus reaches even the past… embraces the past, all men and women of all time. The Church Fathers say, with a very beautiful image, that Jesus takes the hand of Adam and Eve, that is, humanity, by the hand and guides them forward… He thus creates access to God because humanity on its own cannot arrive at God’s level… To what? To the reality we call Heaven. So this descent into Hell… into humanity’s past, is an essential part of Jesus’ mission, of His mission as Redeemer, and does not apply to us… [as] we are already redeemed by the Lord…” (Pitstick 49-50). To begin to draw to a close our summary of a more contemporary theological understanding of Jesus’ descent, we turn to Saint John Paul II whose insights are clear and precise, so much in fact, Pitstick speculates if Ratzinger/Pope Benedict XVI saw his “admired predecessor’s teaching as providing the context that would make his own allusions plain” (Pitstick 59). Pitstick finds then Pope John Paul II’s most focused treatment of Jesus’ descent in his general audience of 11 January 1989 in the following summary: “The truth expressed by the Apostles’ Creed in the words “He descended into Hell [the abode of the dead],” while confirming the reality of Christ’s death, at the same time proclaims the beginning of His glorification and not of His glorification but of all those who by means of His redemptive sacrifice, have been prepared for the sharing in His glory in the happiness of God’s kingdom” (Pitstick 60). The pontiff unpacks these words in his audience by stating that Jesus’ soul separated from His body (a corpse in the tomb) and was glorified in God by the Spirit since the time of His death. Pitstick also finds the pope further explaining Jesus’ glorification and suffering in his Apostolic Letter Novo millennio ineunte when he explains how before Jesus death, Jesus possessed the Beatific Vision in such a way that He was not prevented from suffering; but after Jesus death, with the start of His glorification in the descent, Jesus was “admitted to the fullness of the beatific vision of God” (Pitstick 62). It should be noted for clarity that Pope John Paul understood Jesus soul to be glorified after His death in the descent and the whole Christ, body and soul, glorified in the Resurrection. Additionally, the pope teaches that although Jesus died to redeem all mankind (objective redemption) this gift must be received and actualized by a human person (Hredemption): so, Jesus only gave beatitude to the just/holy dead in His descent to ell, not to all persons in Hell. The conclusion of the modern period and of this paper’s study of Jesus’ descent, hinges on Saint John Paul II as he was the one who promulgated the universal Catechism of the Catholic Church which puts forward the catholic doctrine of Jesus’ descent into Hell. The Church’s teaching in the Catechism (CCC 632-635), which we have already encountered in various ways across the periods of Church history in this paper, can be summarized as follows. Firstly, the Divine Person Jesus Christ, descended after His human death in His human soul, to the abode of the dead as Savior. His descent was without suffering as it was in a glorious way similar to His Resurrection. In His descent, Jesus activity was twofold: He liberated the just and holy souls as the first fruits of His Paschal Sacrifice by welcoming them to the Beatific Vision; and, in this way He manifested His power and authority to all persons: human and angelic, whether just or evil so that “at the name of Jesus every knee should bow, in heaven and on earth, and under the earth” (Rev 1:18). As was stated in the beginning of this paper, a creed does more than state our beliefs as Christians, it is something that should come alive in those human persons who profess it by its graced-incarnation in Christian lives. As the writing of Cardinal Ratzinger pointed out beautifully, previously noted, in this paper, the reality of Jesus’ descent into Hell expressed in the Apostles’ Creed has something beautiful to share with the human heart. The final movement of this paper will briefly draw out a few examples of the impact Jesus’ descent has for human experience as a means to help open the Christian up to a fuller participation in Jesus Resurrection through our own descent. As Christians, we believe God is omnipresent. However, to some Christians that may just be a cold theological term. The book of Psalms brings the reality and warmth of this word to life in a prayerful meditation on the Lord God, in a sort of act of faith in God’s presence: “Where can I go from Your Spirit? From Your presence, where can I flee? If I ascend to the heavens, You are there; if I lie down in Sheol, there You are” (Ps 139: 7-8). In His Paschal Mystery, Jesus has descended to the dead of Hell, Resurrected, and has taken Himself to Heaven. Now, to any human person, there is nowhere we can go where the Lord is not present to us; even the situation of death itself has been conquered by Jesus’ life and charity. The reality of this means much for our spiritual lives. When we think of the hells of war, disasters, tragedies, or personal crises’ we must remember our profession of faith in the creed of Jesus’ Paschal Mystery. If Jesus is sovereign and reigns everywhere and in everything, even in the types of hell we can experience in this world, we as Christians have the obligation to endeavor in our lives to seek Him out especially in those hellish places. The types of hell we can experience must become for the Christian an opportunity to find Jesus who has descended to Hell – as no less than Savior – and conquered it. Just as Jesus descended to rescue the just who awaited and anticipated Him in Hell, so Jesus always comes seeking to meet us in our own personal descent into Hell. But, Jesus will not save us without us. We must be looking and expecting to encounter Him in the descent of our own human experiences so that we can arise with Him in a type of personal and particular subjective resurrection. Additionally, we must remember that Jesus didn’t just descend to Hell to draw the just with Him to heaven, He also speaks the Gospel so that it is proclaimed everywhere. With this in mind, Jesus desires to meet us in our particular hell of fear, pain, isolation, etc. and speak to us the words of spiritual life by which He desires to being about a kind of resurrection- ascension in the particulars of our life. In this way, yet another paradox of the Christian life is that our personal types of hell or kinds of death in this world, offer us a way to experience a descent – and thus an opportunity to grow more fully alive in the ascent after meeting Jesus there. When the Father moves His protecting hand, and allows for some experience of a type of hell or death to enter our lives, we must remember Jesus descent and look for Him and the means of ascent in Him. In this way, for example, a descent of doubt can be taken-up into an ascent of faith or sorrow transformed into joy, or an emptiness transformed by a spiritual feeding. Just as when Jesus hung upon the Altar of the Cross and began praying Psalm 22, He trusted that His Father was present and would not abandon Him. So, for us as members of Jesus body, in our own particular descents, we must trust like Jesus that we will not be left alone or abandoned. Thanks be to Jesus Christ submission and obedience to the will of the Father, we must remember that in His very life and the life of His Body, Psalm 22 gives way spiritually to the protection, restoration, and feast of Psalm 23. Therefore, our opportunities to experience descent can be through Jesus a means to find in the ascent comfort, refreshment and feasting. Let us look then toward Saint Paul and what he learned through the thorn in his side: “therefore, I am content with weakness… hardships… for the sake of Christ, for when I am weak, then I am strong” (2 Cor 12:10) and in this way these darker moments of descent in the Christian life can be for the Lord Jesus a means to proclaim His power and glory in our ascent to the assent in Him. Aquinas, Thomas. Summa Theologica. Translated by Fathers of the English Dominican Province, vol. 2, Benzinger Brothers, 1947. Ayo, Nicholas. The Creed as Symbol. University of Notre Dame Press, 1989. Brown, Raymond E., et al., editors. The New Jerome Biblical Commentary. Prentice Hall, 1990. Casciaro, Jose Maria, editor. 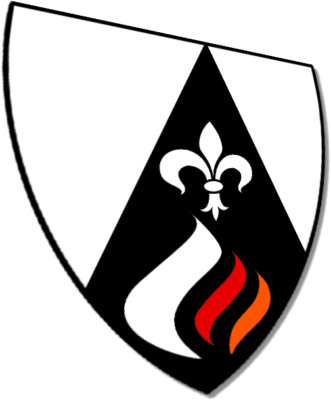 The Catholic Letters: James, Peter, John, Jude: in the Revised Standard Version and the New Vulgate with a Commentary by Members of the Faculty of Theology of the University of Navarre. Four Courts, 2005. Catechism of the Catholic Church: With Modifications from the Editio Typica. New York: Doubleday, 1997. Clement of Alexandria. “The Stromata (Book VI).” Edited by Alexander Roberts et al Translated by William Wilson, Church Fathers: The Stromata (Clement of Alexandria), New Advent, www.newadvent.org/fathers/02106.htm. Connell, Martin F. “Descensus Christi Ad Inferos: Christ’s Descent to the Dead.” Theological Studies, vol. 62, no. 2, 2001, pp. 262–282., doi:10.1177/004056390106200202. Cyril of Jerusalem. “Catechetical Lecture 14.” Edited by Philip Schaff and Henry Wace. Translated by Edwin H Gifford, Church Fathers: Catechetical Lecture 14 (Cyril of Jerusalem), New Advent, www.newadvent.org/fathers/310114.htm. Laufer, Catherine Ella. Hell’s Destruction: An Exploration of Christ’s Descent to the Dead. Ashgate, 2013. Marthaler, Berard L. The Creed: the Apostolic Faith in Contemporary Theology. Third ed., Twenty-Third Publications, 2007. Mitch, Curtis, and Scott Hahn. The Ignatius Catholic Study Bible: The New Testament. Ignatius Press, 2010. Ott, Ludwig. Fundamentals of Catholic Dogma. Ed. James Canon Bastible. Trans. Patrick Lynch. TAN Books, 1974. Pitstick, Alyssa Lyra. Christ’s Descent into Hell: John Paul II, Joseph Ratzinger, and Hans Urs Von Balthasar on the Theology of Holy Saturday. William B. Eerdmans, 2016. Pope Pius V. The Catechism of The Council of Trent: Published by Command of Pope Pius the Fifth. Translated by J. Donovan, James Myres, 1833. Ratzinger, Joseph. Introduction to Christianity. Translated by J. R. Foster, Seabury Press, 1970. Ratzinger, Joseph. The Spirit of the Liturgy. Translated by John Saward, Ignatius Press, 2000. Rufinus. A Commentary on the Apostles’ Creed. Translated by J. N. D. Kelly, Newman Press, 1988.